So after a relaxing break we have had a busy start to the year. 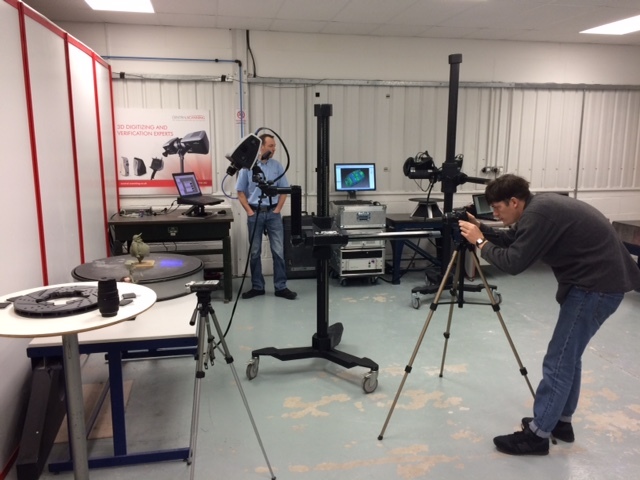 We’re just putting the finishing touches to Central Scanning’s profile after we spent a fascinating morning with them at their base in Bromsgrove. We all came away full of ideas having learnt about the myriad of possibilities 3D scanning, printing and laser engraving can offer. Then later in the week we are filming at UMake in Ladywood, a new makerspace which offers its members access to range of tools. You can find out more about them HERE if you can’t wait for their profile. And then next week our film-maker Matt Cox leaves us (temporarily) as he is off to galavant around the world for a few months. Workshop Birmingham is in safe hands though as Maya Darrell Hewins will be stepping in to fill the gap and (wo)man the cameras whilst he is away.